The Collector's Guide to ART AND ARTISTS in South-Africa. Ilse handed over a painting in Israel during a ceremony on 28 March 2012 in Jesusalem. In 2004 God gave her scripture with a promise that she will beautify His house in Jerusalem and move up to Israel with mighty men of God (Ezra 7:27:28). In 2012 (8 years later - fulfillment) this promise came true when one of her paintings was donate as a gift to Israel with Mandate Africa. 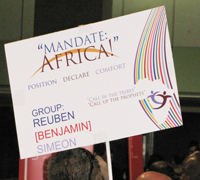 Visionary Lindi Gouws and other leading Christian leaders received a mandate from God that Africa must move up to Israel and pray for Africa and Israel. Ilse's painting "The fruit of Jesus's Sacrifice" was chosen as a gift to the nation of Israel from Africa with Mandate Africa. To be presented on 28 March 2012. Ilse came 4th in a global art competition called "Art for God" in the category paintings/drawings. Ilse was selected by a panel of judges for the recent addition of Best of Oil Artists Worldwide, Vol 1 published by USA based Kennedy publishing. 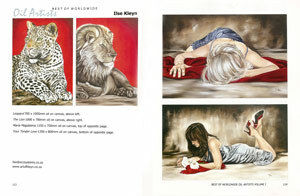 The coffee table style book feautures a double page spread of ilse's work. "It is an honor to be selected for this book. I give all glory to my heavenly Father to be featured in such a book that will be going to homes of art lovers and galleries all over the world," stated Ilse. The book was released mid del 2010 and can be orded from http://www.bestofartists.com (Page 113 in Vol 1). 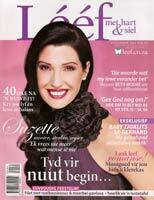 Leef magazine published a article on my work in their September issue. 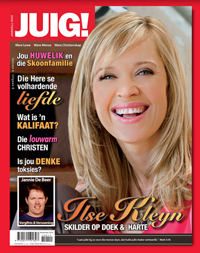 Christell Webb-Joubert from a South-African Radio Station held a interview with Ilse on 2010-02-02. Sakata - A company supplying farmers with seed - published a 2010 calendar with 12 of Ilse's Kitchen Art paintings. Ilse came 7th in a global art competition called "Art for God" in the category paintings/drawings. Ilse is commissioned by Sanlam (a leading financial services group in South Africa) to do a series of oil portraits for the winners of the 2009 prestigious "Goue Adelaar" Awards, to be held at the Mount Nelson Hotel in Cape Town. Lesley Smitheringale, Australian author of Nature's paint Box - an e-magazine, writes an article on Ilse's wildlife paintings. Ilse came 6th in a monthly online Portraiture competition world wide. Home and Living Expert and online magazine reporter from the Examiner, Andrea Campbell (USA) writes a article on Ilse's kitchen art called "Country French rooster art for your living and dining room". Andrea has decorated and designed many homes. She’s also an expert on advice about enjoyment of your living space and entertaining in the home. 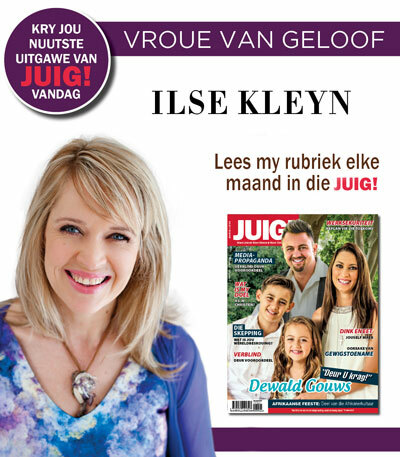 Ilse was commissioned by Sanlam (a leading financial services group in South Africa) in September 2008 to do a series of oil portraits for the winners of the 2008 prestigious "Goue Adelaar" Awards, held at the Mount Nelson Hotel in Cape Town. Ilse Kleyn was awarded a Honorable Award - Diploma of Excellence from ARTOTEQUE’s second edition of ART NOW 2007 online global art annual. 1,651 artists from 76 countries entered 2,784 works for selection. You can view the diploma from this PDF attachment.